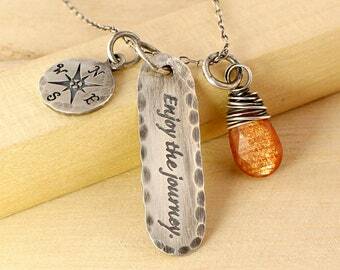 Please include initial to be stamped here. Sterling Silver Cross Necklace ~ This handsome necklace makes the perfect gift for a young mans graduation day, birthday or just because. 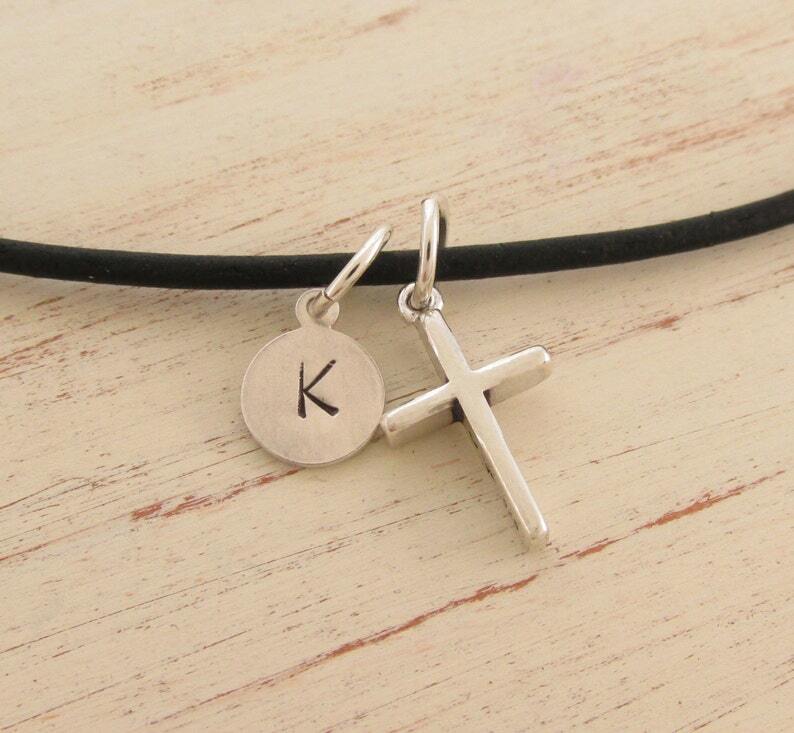 It is hand stamped with his initial and includes a clean and simple sterling silver cross. Because I used sliding knots on the genuine leather, it can be slipped over his head and adjusted. It can go from choker length to a 24" necklace. ~ Sterling Silver Cross H 3/4" X W 3/8"
~ Gift will arrive in an organza gift bag in a masculine color. My 13 year old grandson loved this gift!